Senior U.S. Coast Guard leaders and liquefied-gas-industry experts from around the country came together the second week of December at Sector Houston-Galveston to prepare for the increased use of liquefied gases throughout the maritime community and gain a deeper understanding of the intricacies each party faces as they adapt to the rapid growth in this multibillion dollar industry. 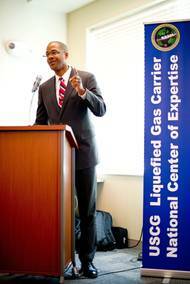 The maritime community is experiencing an international shift with the increased transport and use of liquefied gases. The increased supply created by the U.S.
Patrick Hughes has joined Ports America Stevedoring as breakbulk sales director with responsibilities for coordinating and driving customer satisfaction, business development and market growth. 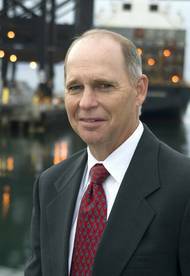 Hughes will report to Ports America Stevedoring Vice President Breakbulk Chris Smith. Prior to joining Ports America, Hughes led the regional sales team at CMA CGM (America) Inc. He worked for 18 years at Sea-Land Services in sales, marketing, yield management and refrigerated services. Hughes also owned and operated a third-party logistics company. Now in its seventh year, the American Association of Port Authorities’ (AAPA) 2014 Shifting International Trade Routes workshop, cosponsored by the U.S. Maritime Administration and hosted by the Tampa Port Authority, will examine the effect of the world economic outlook on investment decisions, cargo movements and international trade in general. The assumption that evolving economic and societal considerations affect all players in the supply chain will be the overriding theme for the 1.5-day workshop, which is slated for Jan. 23-24, in Tampa, Fla.
XL Insurance, the insurance underwriting operations of XL Group (NYSE: XL), appointed Richard DeSimone as President of its US Ocean and Inland Marine unit. DeSimone will be based in New York and reports to Neil Robertson, Chief Executive, Global Specialty in London. ”This is a clear statement of our intent to become a more significant market for both Inland and Ocean Marine business in the United States” said Mr. Robertson. 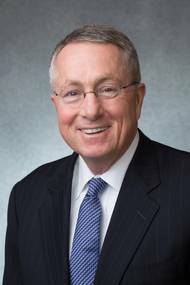 “For XL Insurance, we are fortunate to enlist Richard’s 35 years of industry experience and solid reputation to lead this initiative.